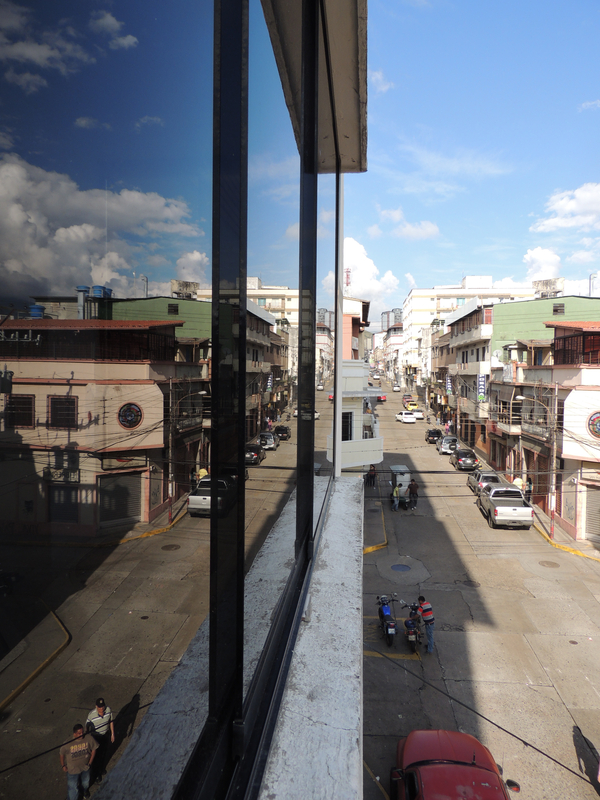 The view from my host’s apartment window, Mérida, Venezuela. After an uninspiring two days in Maracaibo, the push and shove typical of the carritos line-up jolted me back to my senses. Travelling solo in Venezuela was definitely not getting any easier. My ninja senses were on high alert as I negotiated my way across the hot, dirty bus station and joined the back of the line signposted Mérida. Thankfully, my host Ricardo had been kind enough to drop me off at the terminal, saving me the unappealing prospect of a local bus across town strapped to all of my worldly possessions. Unsurprisingly, after 30 minutes the familiar cry came from the front of the line: “Hoy no hay más carritos desde aquí para Mérida!”. I waved away the flies and hawkers that kept up a continuous assault on my senses and stayed focussed on the line in front and the pack on my back. Unsurprisingly, after 30 minutes the familiar cry came from the front of the line: “Hoy no hay más carritos desde aquí para Mérida!”. You guessed it, no more carritos to Mérida. So began the familiar scramble to ascertain an alternative route for the 8-hour ride from Maracaibo to the northern tip of the Andes – something that you hold a considerable advantage in if Spanish is your native tongue and you aren’t a scruffy, blond backpacker with green eyes on ninja alert. The alternative route sounded okay on paper – as they all do – but the issue I had was my connecting carrito, would there be another car for me to transfer into at the halfway point? I was assured that there would be but, as I’d learned many times in the last few months, assurances can’t always be given much weight in the more remote parts of South America. Having said that, my options were to stay in this industrial melting pot of a city or at least start making my way south. I chose the latter and squeezed in alongside my three newest Venezuelan companions. Our unplanned stop would be a town called Valera, which I knew nothing of. Worth a brief mention is our crossing of the General Rafael Urdaneta Bridge, 8.6km in length, spanning the horizon south of Maracaibo and joining the western part of the country to the east across the mouth of Lago de Maracaibo and an impressive feat of Latin American engineering. Valera was the quick scheduled stop I had been promised and I appreciatively hoisted my backpack from the trunk of one 1960’s era Ford to the next and eagerly climbed into the backseat. With things actually going according to plan, it took all of my willpower to not childishly thump my bunched up fists into my thighs and grin like a kid in a candy store. I even got chatting to the carrito’s other occupants pretty quickly, each of them friendly Mérida locals keen to tell me about their tourist-friendly town. The daylight waned, and the heat of the day went with it, vanishing as we started climbing into the mountains that marked the final ranges of The Andes, which snaked 7000km from southern Patagonia and ended in Venezuela. 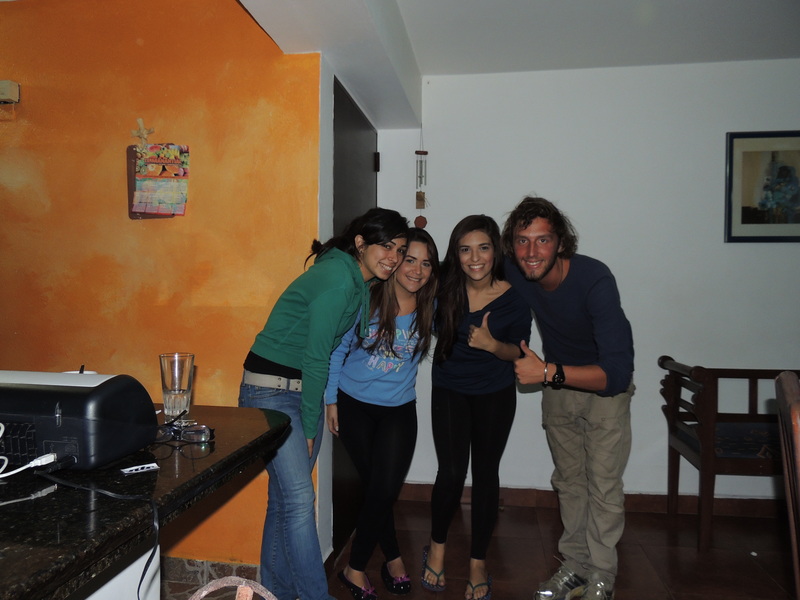 Couchsurfing had been kind to me so far in Venezuela, and my new hosts were no exception. I got in touch with my host Mary as soon as I arrived at the bus terminal and she gave me directions to her apartment. I climbed into a secure taxi operating at the front of the station and was there within five minutes, couch waiting. A visit to the hot burger stand around the corner was all I needed before cashing in on a good night’s sleep. The next morning I was properly introduced to my host’s housemates, Maria and Luisana, both studying in the densely student-populated town. The fluffy labrador puppy Rocky stole the show that morning, posing for photos (and digging into my backpack!) in the short gallery below. As I hinted in my last post, Mérida is attractive as a tourist destination because of its location on the vast Llanos (plains), home to countless wildlife, and the surrounding mountains. The world’s highest cable-car (which I would later discover to be out of order due to maintenance) navigates up into tiny villages dotting the mountains and old roads snake paths down as an alternative. The city is extremely walkable, with its shadier parts that needn’t be visited before or after dark. Restaurants line the avenues, complimented by goods and electronics stores and the occasional tour office. That isn’t to suggest that Venezuela’s bigger picture problems don’t creep into the town, with long queues for ATMs and inflation evident in every store price. Older model cars roam the streets alongside more recent additions and political presence is evident in the graffiti and propaganda lining the streets. I took few photos, worried that my camera would stick out like a sore thumb asking to be taken. Instead of doing all of the things that I felt like I should be doing, I ate pizza at Mary’s step-dad’s restuarant, ate lazy breakfasts at cafés with free wifi and kicked back like I was one of the students. Did I venture into the Llanos? No. The beauty of the surrounding mountains? No. Why? Yep, a good solid case of Traveller’s Burnout. A self-diagnosed condition that long-term backpackers are sure to suffer at some point. It wasn’t the best time for it to happen – it never is – but it sure wasn’t the worst position to be in. Instead of doing all of the things that I felt like I should be doing, I ate pizza at Mary’s step-dad’s restuarant, ate lazy breakfasts at cafés with free wifi and kicked back like I was one of the students. We even ventured out to watch the latest movie in the Los Juegos del Hambres series at the local cinema, I’ll let you translate that one yourselves. My awesome hosts, Mary (left), Maria and Luisana. Did I feel bad? Only a little bit. After all, I had seen most of the southern part of The Andes – how different could the northern tip be? My hosts couldn’t have been more welcoming for the four days that I spent at their apartment, plus the one extra unplanned night due to a bus breakdown (but I’ll tell you all about that in my next post). Mérida was a perfect opportunity to recharge my batteries before throwing myself into the adventures that awaited on the eastern side of the country visiting Angel Falls and beautiful Mount Roraima in Canaima National Park. But first, I was headed for Maracay and then Caracas, the notoriously dangerous capital city of this amazing country. I was wondering what is going on with you. but i see this is from January, so are you still traveling? I hope you weren’t too worried about me! Real life unfortunately caught up with me. I had a quick 6 week visit to the UAE and the UK but decided to settle down back in Australia for the time being. That is why I am backdating posts. There will be plenty more to come though – don’t worry!